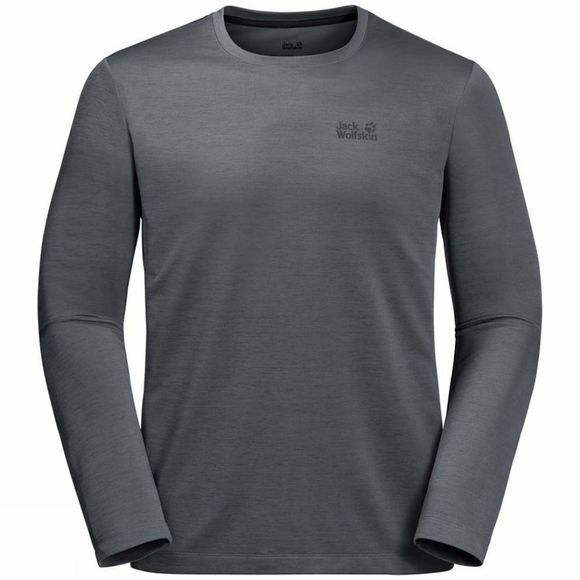 The Mens Hydropore Xt Longsleeve Top from Jack Wolfskin gives you the High-end performance you need for fast-paced Outdoor sports. It is super breathable, fast drying, provides superb next-to-skIn comfort and reMains virtually odour-free even when worn for long periods.If you work up a sweat on an upHill Trail, it wicks moisture quickly away from the skIn and dries agaIn In no time. The stretch performance and loose cut give you full freedom of moveMent with no chafIng or pInchIng. The fabric also Shields you from the sun–a crucial factor when you're In the Mountains.